A. Drive closer to the vehicle in front so they can see you better. B. Use your hazard warning lights when overtaking another vehicle. C. Leave a longer gap behind the vehicle in front. Correct. It is more difficult to see the entire road situation at night, therefore leaving a longer gap gives you more time to react. 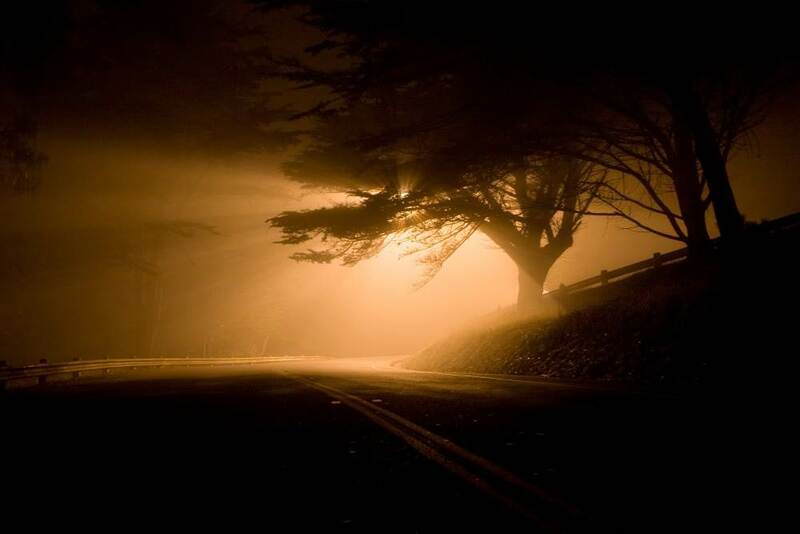 At night it is more difficult to judge distances and speeds. There could be a wild animal on the road such as a kangaroo which the vehicle in front doesn't see until the last minute, and then brakes heavily - you won't be able to see the 'roo on the road, either and risk running into the back of the braking vehicle if you are travelling too closely. If you are riding a motorbike then you will want to give yourself time to avoid potholes, and if it's wet, time to avoid slippery manhole covers and road markings. At night you might be following a local that knows the road and knows the corners and what lines to take. Don't be lulled into a false sense of security - they might also be driving a vehicle that's more capable around the corners then yours. You can be dazzled by other vehicles' headlights. If it's wet it can be difficult to see road markings. If you're in an elevated area in winter, be aware of ice or frost that can form when temperatures drop and there's no sun to melt it. Driving at night is more tiring than driving in the day. Not only does it take more concentration, but the darkness signals to your body that it should start to prepare for sleep and that can make you feel drowsy which reduces your reaction times. Read this for more tips about driving in the dark.